Is Your Home in Desperate Need of a Lighting Upgrade? When you moved into your house, you may have walked through each room, thinking about what you wanted to change and what needed to be updated. Depending on the age of the house and what the previous owners did (or didn’t do), you may have pulled up shag carpeting, removed wood paneling, and painted over a lime green wall. However, did you make any updates to the light fixtures? 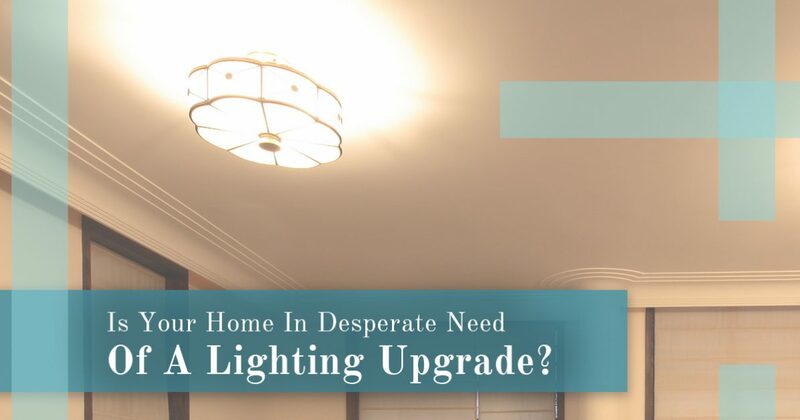 If you redesigned and redecorated a room, then chances are you put in a new light so that everything fit together, but if you made upgrades gradually, then the lighting may still need to be updated. At Lighting One of Cincinnati, we can help you find new home lighting that fits your vision, as well as your budget. If you’ve been making changes to your home over the past few years, and lights are next on your list, then visit our showroom today! Lighting trends and styles change nearly every year, and there are certain fixtures that were popular five years ago that you wouldn’t be likely to find in a new home today. If your home’s lights look they have been out of style for a long time, then let our expert staff help you find new options that will brighten your home. We can show you the options that we have in our store, and we’ll gladly look through our brand catalogs with you to help you find fixtures that fit your taste and your budget. When it comes to the lighting in your home, you may feel that if it’s functional, then it’s okay to leave it as it is. You may have an older chandelier in the dining room, and even though it doesn’t fit your tastes, it does provide adequate illumination for your family dinner parties. You may have wall sconces straight out of the 1970s, but unless you’re going for that retro vibe in your hallway or living room, you may feel like replacing them. When it comes to your lights, you don’t have to settle for less than the best, especially if you have a grand vision for the overall design of your home. At Lighting One of Cincinnati, we’ve helped many homeowners find new fixture options for a certain room, or for their entire house. If you’re tired of looking at an outdated light in your bedroom, or you have fixtures that only work half the time, then please call or visit us today. We have a great selection, and we also offer installation services on certain fixtures. Instead of having a home that feels outdated or unfinished, you can have a beautiful house that you enjoy inviting people to and being in every day. Our showroom is open Monday through Friday from 10:00 a.m. to 6:00 p.m., and Saturday from 10:00 a.m. to 4:00 p.m.. You can reach us at (513) 306-4442, or fill out the form below and a member of our staff will respond as soon as possible.